8. The Westralian Worker – a doughty champion. To the workers of Western Australia, greeting. We have arrived. 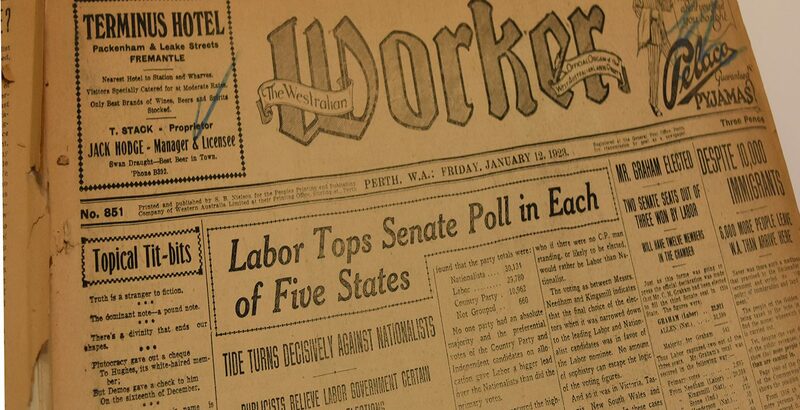 After many trials and tribulations and weary wanderings in the wilderness of dry discussion of ways and intent, we have at last reached a conspicuous milepost on the highway of progress – the issue of a Labor paper. That first issue amounted to 8 pages and sold for 1d or one penny. Seventeen years later, in February 1917 when John Curtin arrived in Perth as the newly appointed editor, the paper was still printed on 8 pages and still cost 1d. Curtin had some previous experience in editing and writing for union journals and worked hard to increase the content and the readership. Three months after Curtin became editor circulation had increased substantially, and owing to the increased cost of newsprint, the price of the Worker increased to 2d. 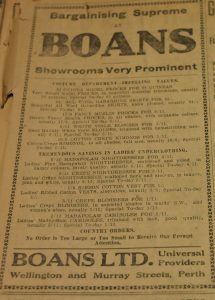 By 1923, under Curtin’s editorship the size of the paper had grown to 16 pages, the price was 3d, the newspaper offices were housed in their own Perth premises in Stirling Street, and the company had taken receipt of a new Duplex press. 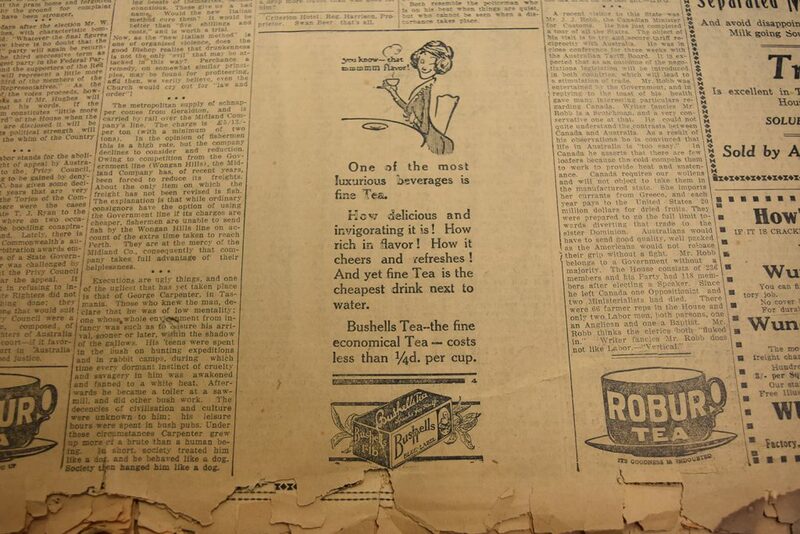 A typical issue during the years of Curtin’s editorship included an editorial or political column, a women’s page – ‘the Women’s sphere, a page of helpful gossip’, book reviews, film and theatre coverage, sports pages, and a substantial proportion of advertising without which the paper would have struggled to survive. Curtin served as editor and wrote many of the columns until he was elected to the House of Representatives as the Member for Fremantle, in 1928. One hundred years later, the Worker provides a valuable historical record of the period in Curtin’s life that preceded a political career that would see him not only serve the electorate of Fremantle, but the entire nation during the critical years of the World War II. The JCPML holds 55 bound volumes of the paper from 1914 – 1949, (JCPML00007) and the full run of the title on microfilm, 1900 – 1951(JCPML00008 & 00961). The bound volumes were the copies kept by the publisher, and after the newspaper ceased in 1951 were later donated to the JCPML. These volumes include the editors marks and annotations. Westralian Worker, 12th Jan 1923. 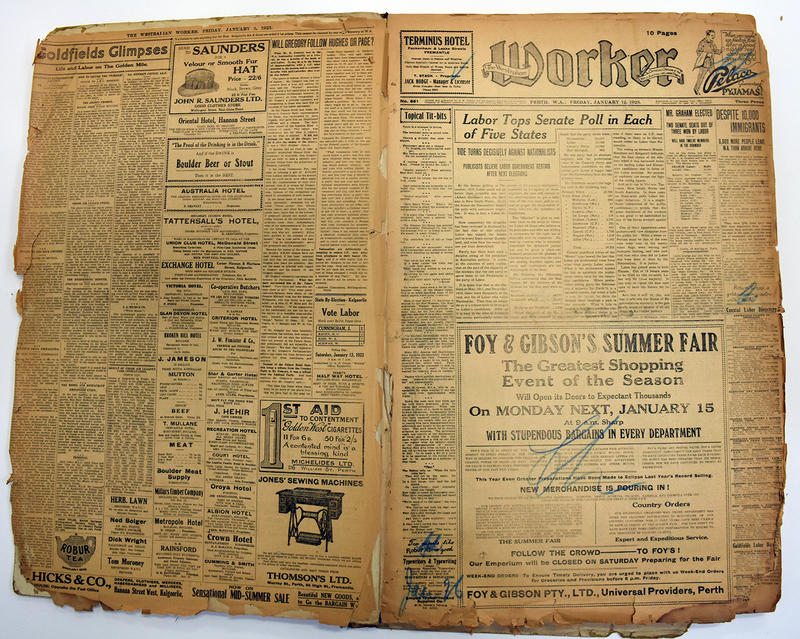 Newspaper is notorious for becoming brittle with age, and many of the issues in the Worker volumes are yellowed and crumbling. Libraries have for many years purchased microfilm copies of newspapers for research, to reduce storage space and to minimise handling of old fragile newspapers. 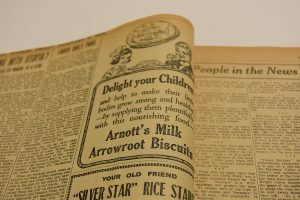 The digital age has provided a much better solution and the Westralian Worker, together with many other Australian newspapers, are now available as digitised content on the National Library of Australia Trove site. Previous Previous post: 7. The first Curtin PhD thesis by William Fennell Smyth. Next Next post: 9. Open Razors and a Great Shave.